Blending live instrumentation and electronics with programmed elements, Longstone hop genres and musical cultures with a bewildering hastiness, crunching through IDM backbeats, jazz-tinged solo spots and plenty of digital noise overload. These generally rather lengthy excursions bristle with energy and musical density, with a particular highlight being the pensive, pared down 'Part Three', which doesn't even suffer all that much for harbouring a slide guitar that's not so much Ry Cooder as it is the theme song from Taggart... "West Country electronic experimentalists Longstone return to Ochre Records for the release of their 6th studio album, Kabuki. 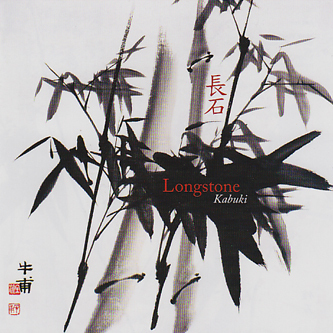 Recorded in the autumn of 2008, Kabuki has six sections with a total duration of 43 minutes and 36 seconds . All six members of the current live band participated in the studio recordings, making this the most complete Longstone band recording to date. If you were at any of last year's gigs, then this album comes very close to representing the recent live sound of the band. The experimental electronica of Mike Cross and Mike Ward blend organically with improvised woodwind , percussion and guitar, creating a fascinating suite of music - ranging from alien soundscapes , through to Krautrock infused, beat driven workouts."